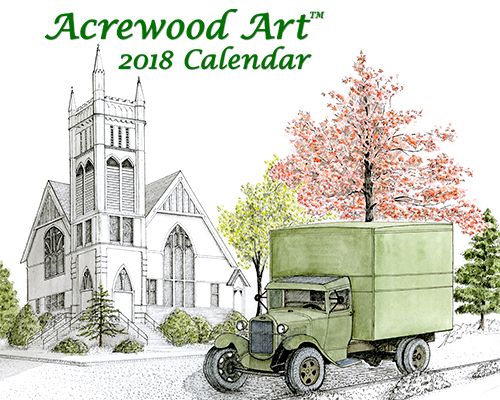 To order, email or call us with the calendars and quantities you would like. We can work with you to arrange shipping, pick up or delivery. Calendars are 11 x 8.5" closed (11 x 17" opened), spiral-bound and printed on heavy card stock. Each page bears the scripture verse we have chosen to go with each picture. Click on the pictures below to see the image larger, the verse and artist's commentary for each drawing.